SPUR just published it's new Urbanist (March 2012) that has my map depicting Bay Area transit (rail and rapid buses) on its cover. The map shows all rail and buses that are rapid and frequent like the Muni 38L, and the Tri-Valley Rapid between Livermore and Stoneridge. I specifically made the map for SPUR. 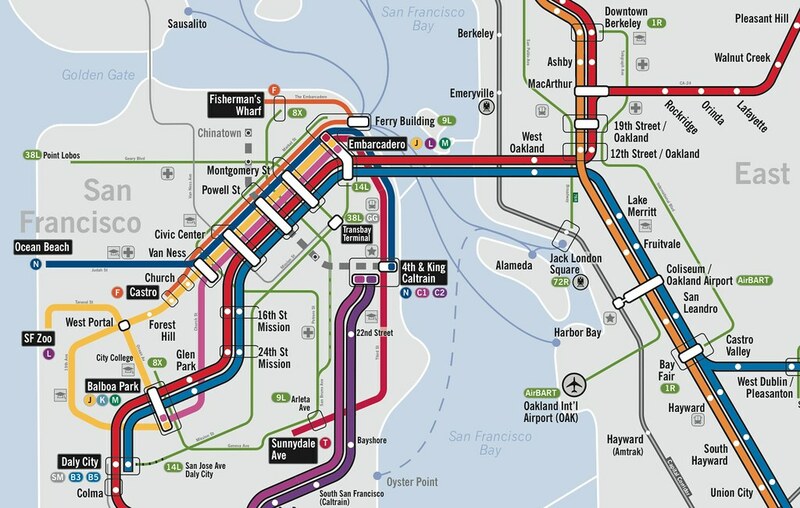 Actually, it's been my long term goal for the Bay Area to have a map designed for transit riders that is highly legible, and can be used throughout the Bay Area. 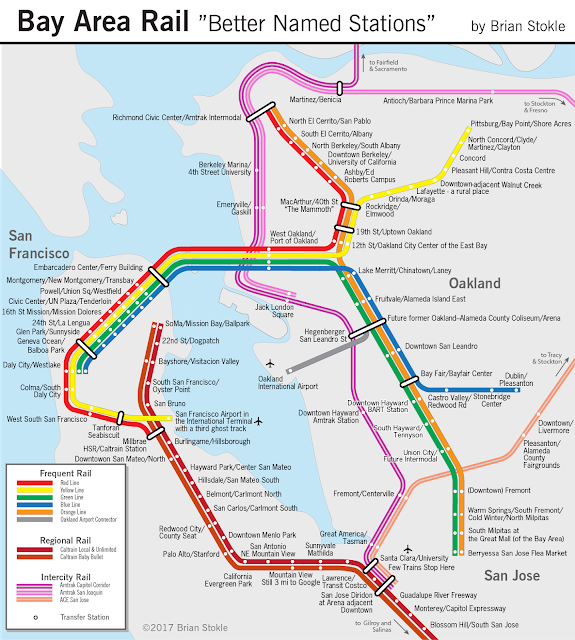 The map shows all major rail, light rail, streetcars, and rapid bus lines. Each mode is differentiated by their line width. Colors vary to show each transit line. All rapid bus lines are marked in light green, while local bus lines are in grey and provided for reference. 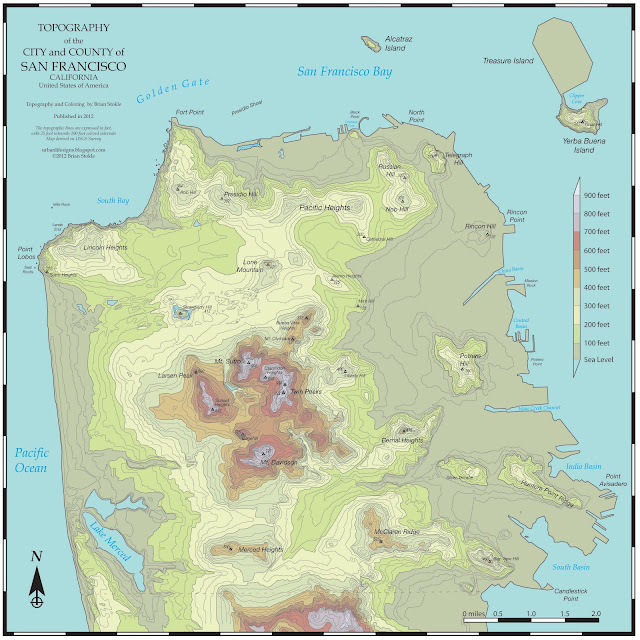 If you would like to have a larger version of the map, which shows more detail, send me an e-mail at brian.stokle@caa.columbia.edu. 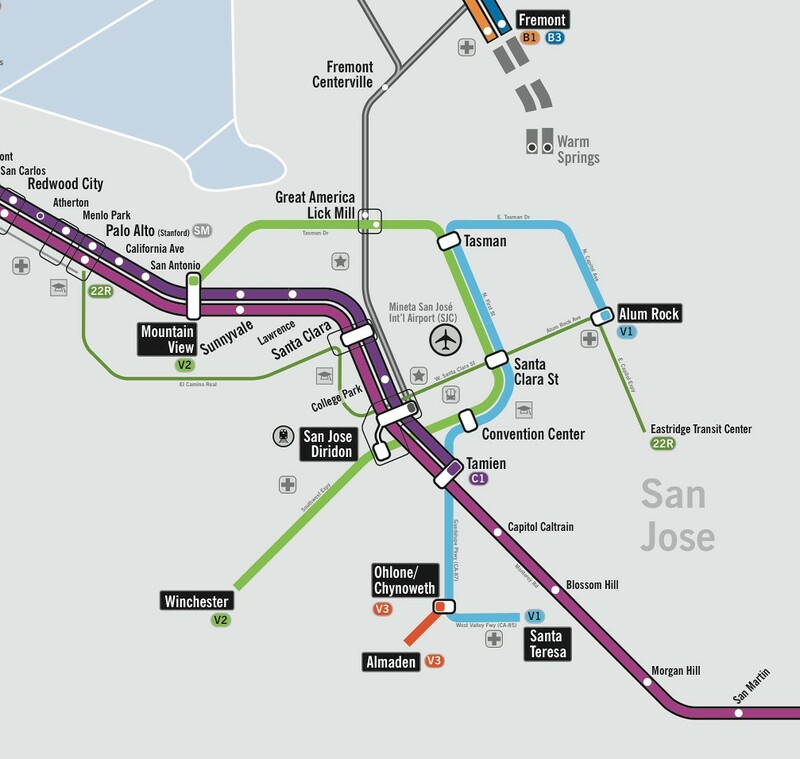 A close up of the San Jose rail and bus network. What would you do in 20 years?